SunCoast Medical Group (Houston) - Book Appointment Online! Our services focus on the wellbeing of young and mature adults, providing them with complete medical services and lifestyle choices that enable them to live a healthy life. We differ from standard family practices by doing more at our facility to improve a patient's condition before making a referral to a specialist. 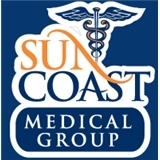 The SunCoast Medical Group standard is to go beyond the standards of traditional primary care practices.